Fisher Island Movers – When planning a move there are so many details that have to planned out. It can often overwhelm a person. 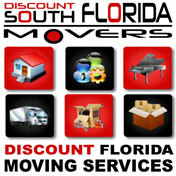 We are Discount South Florida Movers and we want to help you with your move. Our team of moving professionals has years moving in the area. We’ve seen it all and will use that experience to guide you through the smoothest move possible. We handle everything in the process. From the gentle and secure packing of your belongings to the transport to your new destination, Discount South Florida Movers does it all. Whether you are moving an office or your personal residence, we have a team that is right for your specific needs. We are the moving experts, serving the Florida area at prices that can’t be beat. Fisher Island is a small island three miles off the coast of mainland Florida. The barrier island was created in 1905 as part of a land reclamation project near Miami Beach. Many famous people ranging from Mel Brooks to Oprah Winfrey have called this place home over the years. The island was largely developed to build mansions for the rich and famous who have lived here. The municipality tried to incorporate in 2005 but was unsuccessful. Part of the island was incorporated into Miami Beach, but much of it is still unincorporated to this day. With a population of 132, this small island has served as a beautiful second home to many of Florida’s rich, which isn’t far from its origins as a vacation home for the Vanderbilts. Discount South Florida and Fisher Island movers provide low rates on residential, commercial, piano and long distance moving.